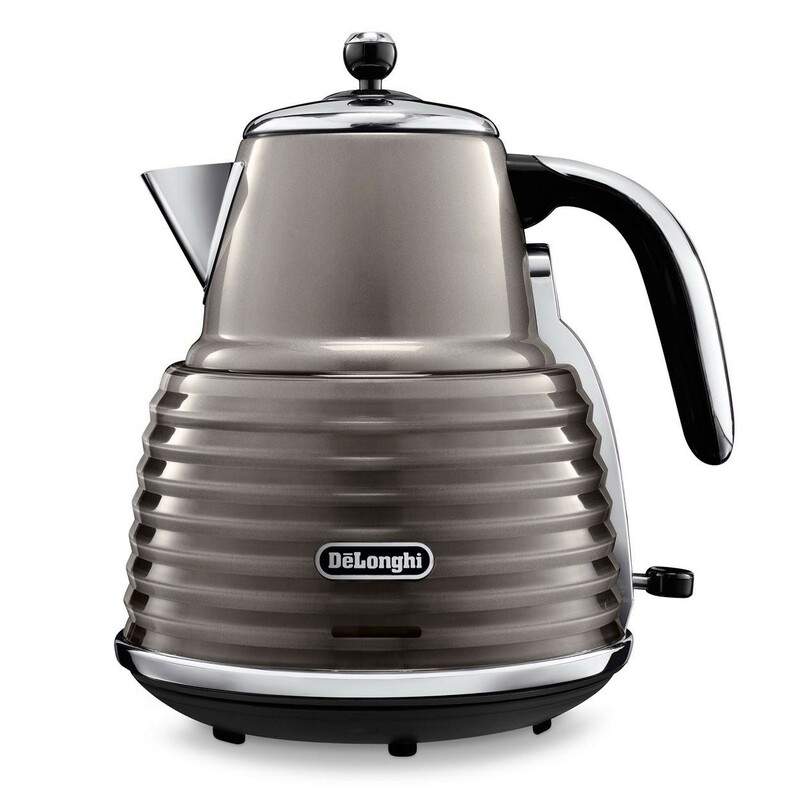 The DeLonghi KBZ3001.BG Scultura 3KW Detachable Base Safety Protected Kettle cleverly combines futuristic and retro design elements to make a truly iconic kettle. This model arrives in a chic high gloss champagne finish with chrome details, for an eye-catching style statement in any kitchen. With a 3kW concealed element and a generous 1.5L capacity, you are guaranteed a quick boil in next to no time. Useful design features include a detachable base for cord-free convenience, water level indicator and a 360º swivel base. 3 level safety protection ensures peace of mind. When the water begins to boil or is lifted from the base the kettle automatically shuts off, and a thermal cut-off is on hand if the element gets too hot. Removable, washable filters, cord storage and non-slip feet top off this Kettle to make it a great addition to your kitchen.